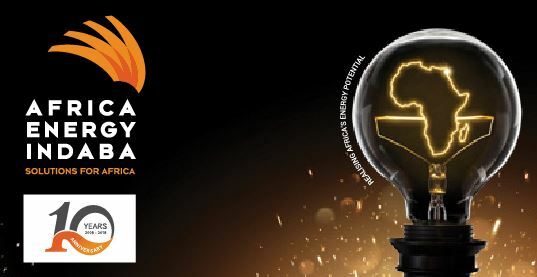 10 January 2019: The Africa Energy Indaba Exhibition on 19 – 20 February 2019 in The Sandton Convention Center in Johannesburg, South Africa is highly relevant to companies actively involved in all areas relating to showcasing solutions for the benefit of Africa. This extends to services for major energy projects on the continent, rural energy solutions, urbanization and energy needs and the renewable & sustainable energy industry and the management thereof. 13 Febrary 2018: The Africa Energy Indaba Conference is the definitive energy conference for Africa providing an annual programme that shapes energy policy for the African continent. The event comprises of the 2-day main conference on Tuesday February 20th end Wednesday February 20st, and several official side events that occur during the same week at the Sandton Convention Centre in Johanneburg, South Africa. “Africa is a continent with huge, as yet unrealised, potential. It is endowed with a diversity of natural resources, a generally hospitable climate and enough land for all its people. You, the person reading these words, hold the key to unlocking this awesome potential. Africa’s potential is constrained by a lack of infrastructure; particularly energy infrastructure. Energy is the driver for social and economic development enabling education, healthcare, economic and commercial enterprise and social wellbeing. Energy impacts on the life of every person and every person can impact on the availability of affordable and reliable energy for this continent. Africa needs your knowledge and skill whatever it is [financial, legal, educational, technical, social] to develop the energy sector and unleash the potential of our continent. Africa Energy Indaba provides the process for you to meet with others who share your dream of a thriving Africa; a continent where all its citizens prosper; a continent we are proud to call “home”. I invite you to step forward; to share your knowledge and expertise and to open your mind to receive the wisdom and experience of others.